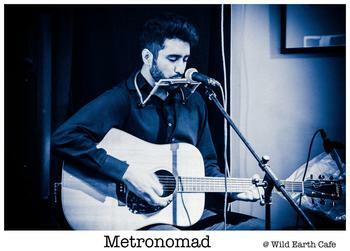 The Metronomad is a Singer-Songwriter based in Edmonton, Alberta. Influenced by such diverse, creative forces as Bob Dylan, Leonard Cohen, Jeff Buckley and Muse, he also has a deep connection to his family’s cultural roots in Pakistan. He draws these aspects of Indo-Pak poetry into his songwriting, while shading his compositions with influences from his personal guitar heroes, Jimi Hendrix, BB King, Jack White and Paco de Lucia. Music is The Metronomad’s first passion: living and breathing its language every single day, he seeks to be a messenger for its powerful force, connecting people with each other, with ideas, reality and states of being, as well as inspiring us to heights of emotions both high and low. IMP Your song 'That Girl' has just been added to Latest Wonders station! IMP Your song 'That Girl' has just been added to Follow Radio station! IMP Your song 'That Girl' has just been added to Eve's New Life, Eve's New Station station! IMP Your song 'That Girl' has just been added to Featured Songs station!